1. Life is all about change. I am the world-champion of lists and predictability. Sometimes, my family jokes that I had my spontaneity gland removed at birth. So, if I can embrace change anyone can. There are several times during your life that change moves to the forefront: leaving home, starting a career, marriage, divorce, birth of a child, moving to a different home. Retirement is on that list. Your self image, how you approach your day, what parts of your personality start to assert themselves....all of these and much more change after you leave your job behind. After a time, most of us learn to not only accept the changes but embrace them. When you leave work you leave schedules. commitments, and deadlines behind. That sounds fabulous, and it is. Yet, with that blank schedule come a dilemma: how do you fill your time? Do you attempt to stay as busy as you were on the job or do you decide to spend long hours in a hammock, reading? Do you find yourself somewhat stressed at the end of the day because you were over-committed? Or, are you bored because there isn't enough to keep you engaged and stimulated? How you use the priceless gift of time in a way that makes you happy will be one of the most important steps to a satisfying retirement lifestyle. 3. We are defined by who we are, not by what we did. The first time someone asks you the universal question, "what do you do?" what will your answer be? It was easy while working. We described what our job was. Well, do you say, I'm retired." Usually that prompts an "Oh, that is great. What do you do all day?" How will you answer? 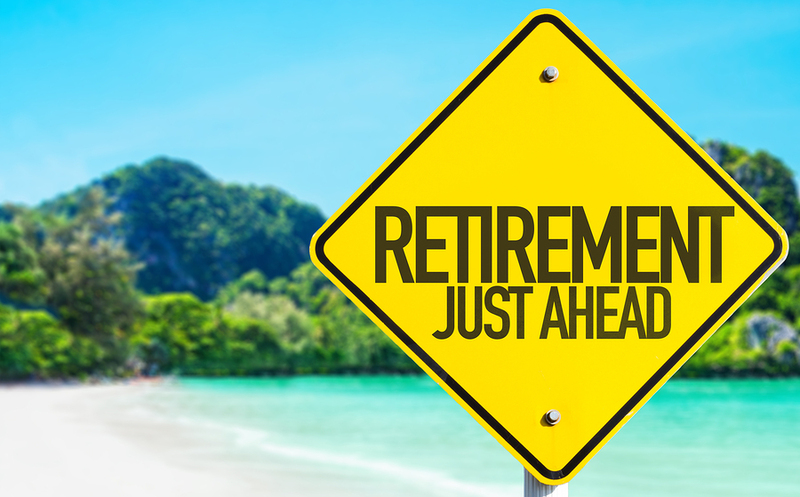 Retirement is when the answer to that question is an important indication of how you feel about the experience. Is it, "Not much. I read a lot and go shopping with my wife," or, "I am so busy. I write, volunteer at the grandkids school, joined a bridge club, go the gym most mornings...I don't know how I fit it all in every day." This is the stage of life when you are not defined or limited by what you do to get a paycheck. It is when your true self is allowed to blossom. It is when all parts of what make you the unique person you are can be explored and nurtured. 4. Relationships are worth the work. Of course, this is true before retirement. It's just that when you spend more time with someone you would prefer that those times are something to look forward to. A less-the-healthy relationship can expose any weaknesses more easily and make time spent together more stressful. This applies to spouses and life partners, but also close friends. If you are single, your network of support probably includes at least a few people you consider friends. They are the ones to turn to when you want feedback, validation, or simply a shared cup of coffee. Even if you spend most of your time with a spouse or partner, we all need contact with others to fulfill some of our needs. A retirement with few friends and an unhappy home life is rarely satisfying. Putting in the work needed to maintain strong, positive relationship is time well spent. 5. Financial stability is important but money alone can't buy a satisfying retirement. 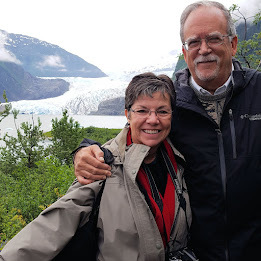 If there is one message I have been consistent with over the past 8 years of this blog, it is that money is only one part of a satisfying retirement lifestyle. True, without a solid financial foundation you either can't retire. or you must live under some serious restrictions. Everything is built around having enough resources to start this new phase of life. But, basing everything on the size of your nest egg is a mistake. Life is a complex combination of factors, all of which are part of retirement. You have the time and ability to develop intense interests and hobbies, give back through volunteering, build lasting friendships, explore the importance of spirituality to you, see the world or your part of it with fresh eyes, and satisfy yourself. If you only focus is on money, you are not living the full life you could. You are allowing fear of the unknown keep you from the joy of the new. How many of these core lessons have you learned? How many are on your to-do list? All great points Bob and all true. Your point 3 "We are defined by who we are, not by what we did" stands out for me. At first I found saying that I was retired difficult. I had a successful career with a high-level role but being "retired" was something anyone could do, it felt almost like I had failed or something. This is not to say I wasn't enjoying retirement, I was and I am. Thankfully that "what do I say I am" feeling didn't last long, perhaps only a couple of months. It wasn't long before I noticed that almost no one that had been retired any length of time asked "What did you do?" Invariably if I am asked that question today it is from someone still working or just recently retired who are still evaluating people by their working career. Those that are a few years into a successful retirement generally don't ask and don't care about your working career -- they are interested in you not your job. In retirement it really is refreshing to be taken for who you are rather than what you do. There's no one doing a performance review on your every action. Be kind and helpful and people appreciate it. Take some time for yourself and no one judges you for it. Join an activity and make even a minor contribution and you are welcomed. I think it's how we should have always lived but the working world is much more dog eat dog sink or swim. I am so glad to have left that all behind. At this point, when a fellow retiree asks, "what do you do," he or she is interested in how you use your freedom and time. "Oh, I volunteer twice a week at the library, am taking a painting class, and like bike riding" might be the answer. What you did in an earlier stage of life might be of passing interest but not the thrust of the question. That simple adjustment makes your point: who we are is the question we are all trying to answer. To your point, if we had better balance in our work lives between personal and financial growth that stage of life would be more richly rewarding. Also, it would make the transition to retirement easier and more satisfying. Empathise with all your points there Bob. However, I am still taken aback when somebody who works asks what I do and if I simply respond with "retired" wants to know what I did. I guess you have to be retired to realise that this whole notion about defining people according to their career or job title is completely wrong. Interestingly when I used to network for my business, we were trained to answer the same question with a snappy description of what we did rather than our professional title,(in my case "I help couples with relationship problems" instead of "divorce solicitor"). Apparently it makes you more memorable and cuts out negative connotations. Guess I am going to have to work on a good response to describe my current position. We need to have an "elevator talk" ready. It summarizes what we are doing just like a good elevator talk worked during business days. It is quite eye-opening to realize how much our value is determined by what we did to earn a living. This is a very timely article for me. For years I worked as a busy social worker at a local hospital (35 years). When retirement was available to me, I jumped at it. Although I enjoyed my work, it had become rife with political undertones and the commute was over 1.5 hours each way. I was done and done. Now I am a "housewife". I go to the gym, make meals at home, help out when needed with the grandkids and overall I find I am usually so busy that I don't know how I managed to work full time and fit everything in. What has surprised me is the attitude of my family and some friends, none of whom are retired. They have openly told me that they don't consider housework to be "work". Interestingly, these same people were just as overwhelmed as I was when we were working full time and raising kids. One told me point blank, "you don't work, being a housewife isn't work at all unless you are raising kids and you aren't". I was a little taken aback. I am only 1 year into retirement and have not yet decided what I want to do in terms of volunteer work. Much of what I had looked into had requirements much like when I worked full time and did not interest me. Having done social services for so long, I will look for something else that engages me but I have not yet found it. I am glad that many of your readers have and I find this blog so helpful in figuring out retirement. Maybe your friends and family are a little jealous that you are retired. The important thing is that you are happy with how you are spending your time. Donna may be on target, Teri. Your friends and family reaction seems a little odd. Since you are content and continuing to explore what retirement means to you, I hope you don't let the naysayers upset you. One thing we had in common Teri was that hour and a half commute each way. Ugh! My last job lasted 20 years, 15 were great but the last 5 tempted me to retire early but I hung in there until 66. By the way, I help my wife with the housework so yes, it is work even without kids. People have a certain image of what constitutes work and what doesn't. It seems to revolve around receiving money from some source other than the government or investments. Amazon deposited $.47 in my checking account two days ago. Does that mean I am not retired? Thanks, John, and I have no idea how you survived that commute. Agree that we are not defined by what we "did", but I still find it interesting when meeting new people to know what they "did". When I found that you had a career in music I was surprised. You seemed more serious... classical maybe, but rock, pop etc. Wow! I'm a music lover so my first reaction was "Way to go , Bob!". Playing rock records on the radio for a living for the first dozen years of my life was fun. My lifestyle and values now are completely different but I am very happy that was part of my experiences. I was anything but serious during that phase of life. Frankly, sometimes I wonder how I survived that lifestyle without some sort of damage! I agree with you: I like to know what people did for a living. It is interesting and often prompts interesting discussions. I hike with a retired man that is great fun and avid hiker. We chat about all sorts of things and I have to say what we did at work never comes up. On one hike there were a couple of young folks (30s) that had joined us and as they hiked they were peppering him with all sorts of questions. When the "What did you do before retirement" came up he revealed that he was a Nuclear Submarine Commander for many years. That came as a surprise to me but we still never talk about it and rather focus on our love of hiking and good seafood. Different strokes: I'd have all sorts of questions about being on a submarine. For someone who doesn't like enclosed spaces, I'd first ask how he handled being in a metal tube for long periods of time! I do like to know what a person did before retirement. It opens areas for conversation or not. I am not at all offended when someone asks me what I did. The problem is that in this small town, people hold my past vocation against me. When I say "teacher," uneducated people become distant. If they know about gardening or chickens, my education or theirs is not a subject of interest to me. I had a good friend who told a mutual friend that she did not know how to talk to me anymore since I returned to school a bit later in life. I lost a friend. That is an unfortunate story and a little surprising. Someone may not have made it very far in his formal education, but everyone had teachers. That should be a plus, not something that breaks apart a friendship. Next time tell them you went back to school to learn more about gardening and chickens! All of these lessons are so true. In my opinion, the points apply to life in general, not just life in retirement. I remember Oprah Winfrey saying on a program - when someone says, "Who do you think you are?" (albeit in a snarky tone) your challenge is to stand up and say who you are. That has always resonated with me. Time does need to be managed. I've said it before on your blog - do time so time doesn't do me. And to Teri, who's been told being a housewife isn't work, please don't listen to those naysayers. Homemaking is work. It's one of those jobs that is so unrecognized and unappreciated until you stop doing it, then everyone notices. In retirement, when someone asks - what do you do? my common reply is - I look after my home and myself in addition to tend to family, work with a community organization, volunteer at the elementary school, host house concerts, maintain relationships with various circles of friends. In the words of Loretta Lynn - just trying to matter. One other thing I've learned in retirement is that I can no longer use work as an excuse to avoid certain activities. Maybe that's part of increased self-awareness and setting priorities for time management. I like your comment and have nothing to add. You have said it all. Thanks Mona and Donna, yes Donna, I do think there is a little jealousy going on there, your comment is spot on. Teri, a friend of mine favors the term "domestic goddess." Although there is certainly nothing wrong with being known as a housewife, identifying yourself as a domestic goddess might bring on a few smiles - and encourage a few changes in perspective! 95 and still plugging away? You must really love your work. Actually, I'd like to meet you someday. I swear all doctors and PAs appear to be about 20! I am fascinated by this thread since I too will soon be retired. My concern is a bit different than some others. I know in retirement my neighbors and friendships will be more important. It is hard to maintain closeness when one is still spending 40+ hours working. These people in retirement will largely be people I'm near and somewhat reliant upon for decades to come. You are correct: in retirement friendships and those who live near you take on extra importance. Once you do retire make an effort to know these people and allow them into your circle of acquaintances. This time of life is much richer if spent with others. One of the things that I am thrilled about in retirement is that I have such an active social life. In the 14 months since we retired and moved to a new location, we have developed an active friendship circle locally. Not only that, but friends and family from far away are now eager to come and visit (we live in an attractive destination), and we have spent quite a bit of time travelling to visit them too. Prior to retiring, I had very little time for social interaction, and no friends or family close by. The little time I could spare outside of work, I reserved for long distance interaction with family, and longtime friends. So, yes, I agree that investing energy in relationships is worth it. I also agree with your other points. Even a short move to be 5 minutes from our grandkids instead of 40 minutes has made a tremendous difference in how often our family gets together. It now involves 6 other members of the extended family so we have quite a house full. Work Burnout: Am I Done Yet?